In elementary school, a large part of what I do involves talking to students about the words that they use – the words that hurt, the words that help, and all the words in between. Although we do many, and I mean many, lessons about the way we talk to others, this topic is ongoing, all year long, every single year. So when I find a new way to teach it, I’m really stoked! I learned about cotton and sandpaper words from a counseling colleague, and it’s a good lesson to pass along. This lesson uses concrete objects like cotton and sandpaper to help make the concept of kind and unkind words feel more real to my students. I use it K-2 mostly, but it could be adapted for older grades. It goes like this: I have a box that has cotton glued to one side and sandpaper glued to the other. I present the box to the class and tell them this box is going to help us learn about kind and unkind words. I walk around with the box so each student can feel the difference between the cotton and the sandpaper. We talk about how each feels on our fingers and hands. After students have told me that the cotton feels nice, soft, fluffy, etc., I point out that some of the words we use can feel this way too. We discuss what a compliment is (I like your shirt, you’re a good friend), what using good manners sounds like (please, thank you, excuse me), and what an I-message is (I feel…, when you…, I would like…). We spend the most time practicing I-messages. Sometimes I show a picture of kids in a line with a boy cutting in and pushing others – I have the students come up with an I-message that they might say to the boy who cut and pushed. After students have told me that the sandpaper feels rough, hurts, etc., I point out that some of the words we use can feel this way too. We discuss how name-calling, teasing, and even tattling can feel hurtful like the sandpaper. When I show the picture of the boy cutting and pushing in line, we sometimes discuss what sandpaper words might be used and whether or not they would help solve the problem or make it worse. To add to this lesson, I usually bring my drawing of an escalator with feeling faces drawn on each step – the faces go from smiling to frowning to really angry. We use the escalator to talk about how our words and actions can escalate a problem (make it worse) or de-escalate a problem (make it better or smaller). I tie this into using cotton words, which are the best way to de-escalate a problem. Finally, I wrap up this lesson by having students pick a slip of paper from a bag that has either cotton or sandpaper words written on it. They decide which and why after we read it out loud. This is a fun way to evaluate their knowledge from the lesson. I like that the materials make it very concrete for my students. They are able to understand about words that feel rough/hurtful and words that feel soft/kind. I usually do this lesson in the beginning of the year, and the concept of cotton and sandpaper words seems to stick with them throughout the year. I often come back to it when discussing with a student about unkind words they have used with friends. They just get it! Box – any size works. I use one that can come apart to really differentiate between cotton and sandpaper words. Cotton – you can separate cotton balls to glue on the box. 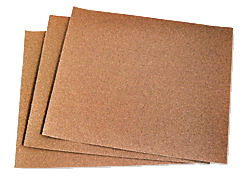 Sandpaper – get a grit that is rough enough to feel with your hand. Glue – hot glue probably works the best, but any glue will work fine. 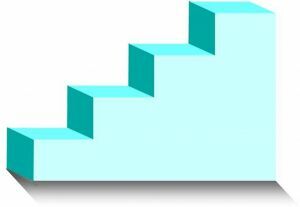 Escalator – draw at least four steps on a white piece of paper. You can add faces on each step to show how our feelings change as we move up the escalator. I-message cards – have a card with each part of an I-message written on it to practice them with your students. Problem picture – any picture showing a problem is helpful to have students practice using an I-message instead of sandpaper words. Cotton vs. Sandpaper words – slips of paper with examples of both for students to practice listening for the difference. Click here for the document I use (I cut the examples into strips and put them in a bag for students to pick from). This is a fun lesson that my students usually enjoy and my teachers usually ask for. It can be repeated each year for added learning! ← Why the *bleep* am I doing this job?! Really love this! Would be fun to send a cotton ball home with each student and encourage them to tell their parents about its significance in relation to kind words. Thanks for sharing! 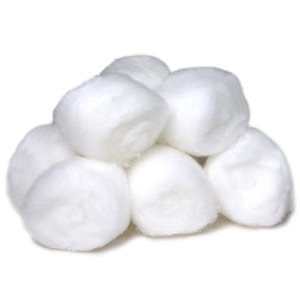 Hey Tanya, sending a cotton ball home with each student is a neat idea for an extension activity! I can’t wait to use this with my kiddos at school. Thanks for sharing! I have done this lesson, as well. My lesson is called velveteen and sandpaper. Same concept. I have them feel a piece of velvet, and then the sandpaper. We relate that to our words and our actions. I like the idea of sending home a cotton ball……….I think my lesson just got a face lift! Thanks for sharing! Ooooh, I bet the velvet feels really soft! I’m glad others are doing a similar lesson. I think it makes it more real for young children! Love the cotton and sandpaper activity! Great for younger and older children! How could this adapted for middle school? Good question. Perhaps more of a discussion about kind/unkind words or role plays in which students see the difference between using helpful/hurtful words during conflicts with friends. Planning on using this at junior church. Also going to have them rub the cotton ball against the sand paper. A little rubs off. Rub again and again, the cotton ball does not change and become scratchy, but the sandpaper becomes softer. Kindness wins! This great. Thank you so much! Wonderful idea! Great concept and so easy to understand! Thank you! Where do you normally find a picture of someone cutting in line? Hi Gina, I got my picture from a conflict resolution curriculum book, but you might be able to find one on Google images or clipart! I will be using this. Thanks. Love this Idea, plan to use it when I introduce Mean Jean from the Unthinkables! Hi, I am a site director for an elementary school after school program. My staff and I are preparing to use the cotton sandpaper lesson with my kindergarten through 5th grade students. I’m especially looking forward to seeing and hearing their reactions since the name of the school is “Cottonwood” and their mascot is the Colt. The use of cotton to represent kind and gentle words can make a strong impression on a group proud “Cottonwood Colts”. This is great! I can’t wait to incorporate this into my program for one of my students who conceptually understands how to be a good friend, but has trouble with the application. I think the visual aspect in addition to touch will really make things cohesive. Thanks! Awesome lesson, I really love this and I can’t wait to use it at my school. Thank you so much! This is awesome, Kayla! I made my box and am planning to teach the lesson tomorrow! I am using it with 3rd and 4th graders as well as 1st grade. I know it’s on the younger side, but I’m hopeful that we can all adopt a common language to use. Do you have any recommendations of books that complement this lesson? “Have you filled a bucket today?” is a natural choice, but wondering if you recommend others as well? Thank you for sharing your ideas with us! I’m really enjoying your post and ideas. There so helpful and invintive. Thank you, great idea!! I am going to share this with my students this year. Please can you help me with some other activity for primary school. Thank you !